The royal family of Sweden was out in their glittering finest to award the various Nobel Prizes in Stockholm. The royal family of Norway had a more restrained ceremony as usual to award the Nobel Peace Prize. The King and Queen of Sweden with Crown Princess Victoria and her husband Prince Daniel at the ceremonies awarding the various Nobel Prizes. 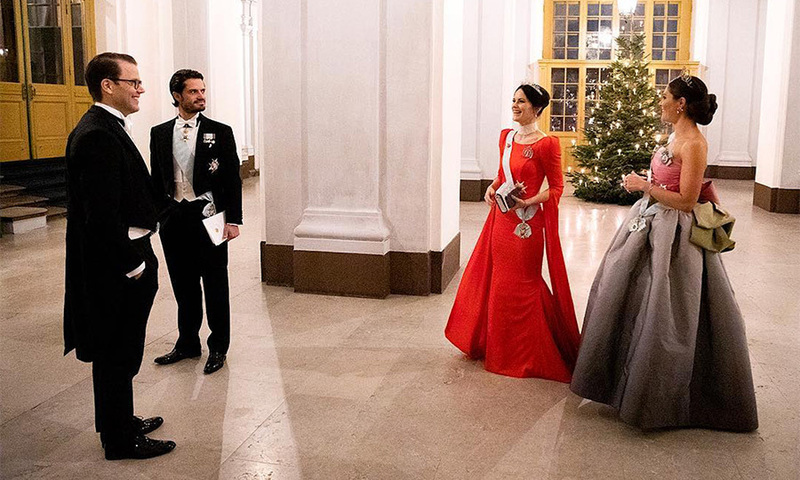 Crown Princess Victoria and Prince Carl Philip with their spouses just before the ceremonies began. 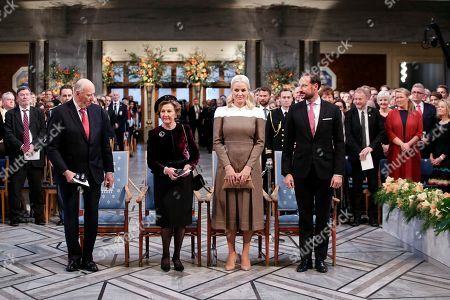 The King and Queen of Norway with Crown Prince Haakon and Princess Mette Marit at the ceremony awarding the Nobel Peace Prize. The scene in Oslo at the awarding of the Nobel Peace Prize.